Hey there! Thanks for dropping by mojorisin73! Take a look around and grab the RSS feed to stay updated. See you around! ATLANTA — A photo of two dogs hugging that was posted to Facebook on Monday saved them from certain death. Angels Among Us Pet Rescue is a nonprofit charity dedicated to saving dogs and cats from high-kill shelters in north Georgia, according to their website. 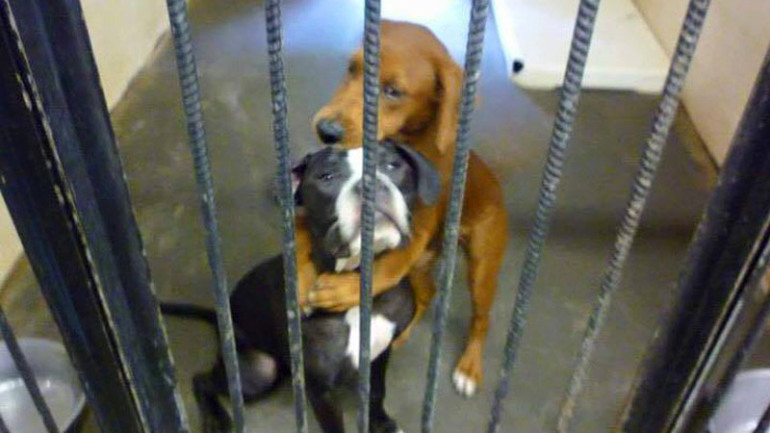 On Monday, the charity shared a photo of shelter dogs Kala and Kiera hugging with a plea for help. The photo quickly went viral and has been shared more than 9,000 times since it was posted. I’m Kala. This is Keira. We’re so scared in here. The people working in the shelters see how scared we are but just told each other that today is our deadline. The Grateful Dead will celebrate the band’s 50th anniversary with an authorized feature documentary that will be directed by Amir Bar-Lev, helmer of the superb films The Tillman Story and most recently the Penn State football scandal Happy Valley. Martin Scorsese, whose own rock docus have provided the template for how to make these kinds of movies, will be executive producer along with Emma Tillinger Koskoff, Andrew Heller, Sanford Heller, and Rick Yorn. Longtime Grateful Dead archivist David Lemieux will serve as the film’s music supervisor. Alex Blavatnik is financing through his AOMA Sunshine Films and Eric Eisner, Nicholas Koskoff, and Justin Kreutzmann will produce in a co-production between Double E Pictures, Axis Films, and Sikelia Productions. CAMBRIDGE, Mass. – A hawk swooping in and attacking a drone while it was flying over a park in Massachusetts Wednesday was captured on video. Christopher Schmidt was flying is Quad Copter equipped with a GoPro camera at the Magazine Beach Park in Cambridge Wednesday when the hawk attacked. A software engineer at Google said the hawk decided he wasn’t happy with his drone invading the airspace and knocked it to the ground. What would you do if you found a brand new Corvette taking up two parking spots? In the video above, watch what one man did and the Corvette driver’s reaction. Prankster Sylwester Wardega dresses his dog in a spider costume and then unleashes him on unsuspecting people. Chica the DogSpider chases strangers in the horrifying getup, which is hilarious to watch. One part of the video posted on YouTube shows Wardega laying “lifeless” in an elevator with Chica standing over him. Possibly the most memorable part of the video is when a man stumbles upon giant “spider webs” that appear to show human body parts entangled within them. The video posted on September 4th has over one million views on YouTube. 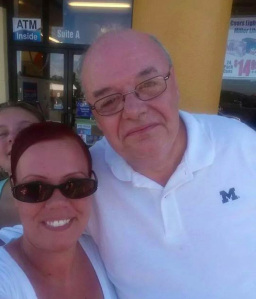 WHITEHALL, Mich. – A Muskegon County grocery store employee says he was fired for giving a customer a hug. It’s controversy that’s ripping through the small community of Whitehall and has Fred Civis accused facing charges. Civis says it was just a hug, a friendly way he has greeted customers throughout his 39 years at Plumb’s Valu-Rite Foods. Fred Civis claims he was fired from grocery store for giving a hug. But the alleged victim felt differently, leading to Civis’ termination and criminal charges. ELIZABETH, Colo. — A Colorado woman says she was looking down to check a text message before sending it when she was involved in a horrific accident, KUSA reports. Christina Jahnz hit a guardrail pole that went through her truck, piercing her thigh and buttocks. Firefighters had to saw off the front and back ends of the pole in order to get Jahnz out of the vehicle. Jahnz said doctors told her if the pole had gone just a little bit one way or the other she could have bled out. “I’m truly a miracle,” she said.